Eyelid surgery is called Blepharoplasty. Most people think they have two eyelids, but you actually have four. Uppers and lowers. The problems that develop with eyelids over the years are fatty herniations that look puffy and stretch the skin over time. This results in bags and laxity that are easily corrected with surgery to restore a rested, younger look. Eyes are the window to the soul. But the eyelids are the frame-work to that window. So they have to complement the individual. Blepharoplasty at Face Center LA can make the eyes look “bigger” by removing encroaching tissue from the corners, but the true shape of the eye is not changed with surgery. 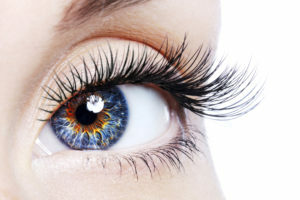 Your eyes can be done as a solitary procedure, but are most often combined with another operation such as a facelift. New advanced techniques enable the surgeons at Face Center LA to provide a beautiful result in less time than you would think. Often times the eyelid puffs can be removed from an inside-the-eyelid approach for a completely invisible incision. Incision-less surgery sounds kind of futuristic but it’s here now!